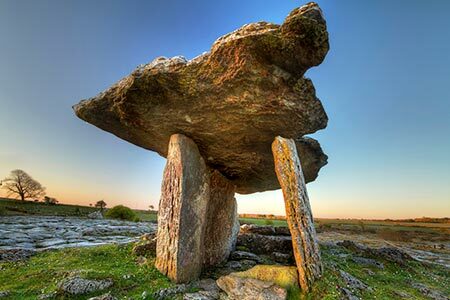 This is for those that want be immersed in the natural beauty of the karst limestone landscape of the Burren with its gentle sloping hills overlooking the Atlantic Ocean, its bare rocks festooned with wild flowers and its historical monuments- evidence of human activity in this area over the past 7000 years. Enjoy a pace of life that affords you time to reflect on the beauty that surround you and treat yourself to this enchanting three-day break in the company of a professional archaeologist. 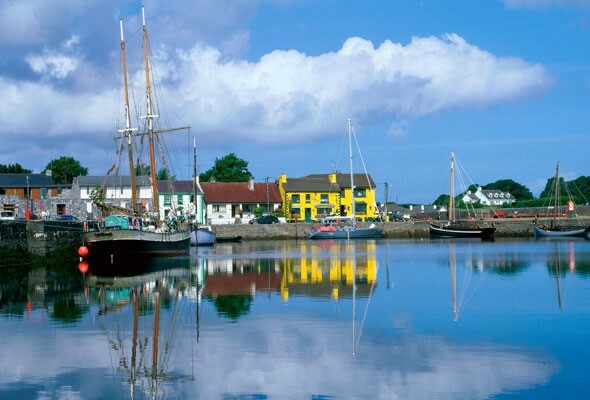 The small, beautifully appointed village of Kinvara on the edge of Galway Bay is your base for the weekend. Accommodation is in the family run Merriman Hotel in the centre of the village. Kinvara is famous for its traditional Irish music and stunning beauty. Spend some time watching the world go by from a local cafe or take a short walk to explore Dunguaire Castle at the edge of the village. 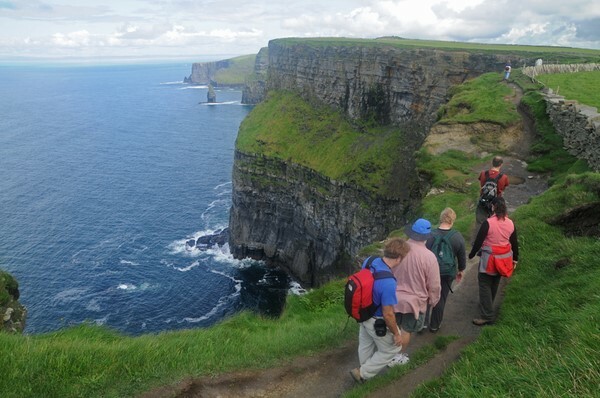 Our trip includes collection and return to Shannon Airport (if required), guided tour of the karst limestone of the Burren and a walk along the world famous Cliffs of Moher, accommodation in a thatched roof hotel and the services of a professional guide throughout. Day 1: 5pm collection at Shannon Airport (if required) and transfer to the Merryman hotel where evening dinner is included in this trip. Alternatively arrive early and take time to explore the village of Kinvara. Drop into a local cafe for a coffey or try a pint of Guinness and some local seafood at the Pier Head. 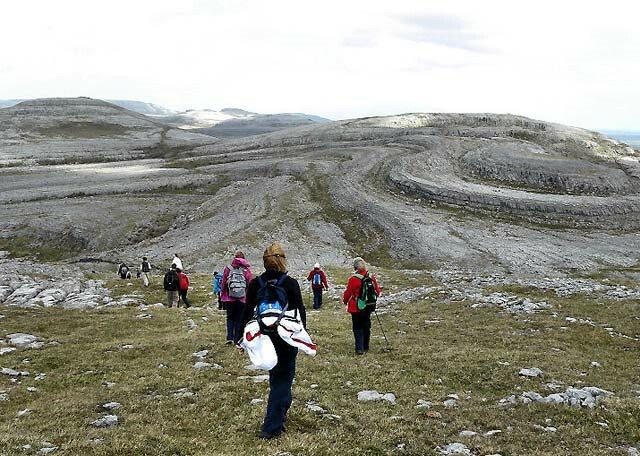 Day 2: Today you will embark on a guided tour of the Burren in the company of a professional archaeologist. We will stop at the medieval abbey at Corcomroe and the iconic prehistoric tomb at Pulnabrone and then take a short trek to the Cliff edge fort at Cahercommaun. In the afternoon our rambles will take us through the burren landscape in the area of Mullaghmore and savor this unique karst limestone. Day 3: Our tour today takes us again through the burren landscape and our destination is the cliffs of Moher. These dramatic cliffs, overlooking the Atlantic, are famous the world over and a very popular visitor destination. Our approach however is different and we trek along a designated path that makes its way along the cliff edge from Hags head to Doolin. The latter is famous for traditional music and we will tarry awhile to appreciate before returning Galway via Shannon (if required) to facilitate those wishing to catch return flights.